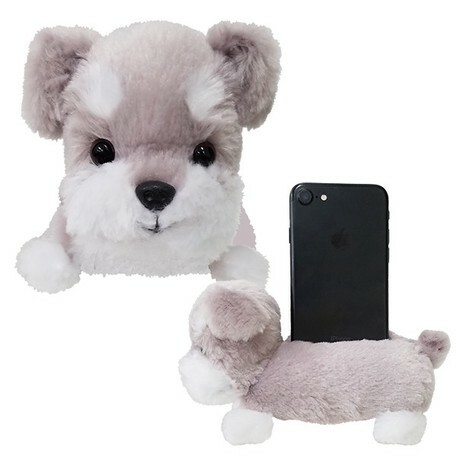 An adorable soft Schnauzer to hold your phone on your desks and tables! 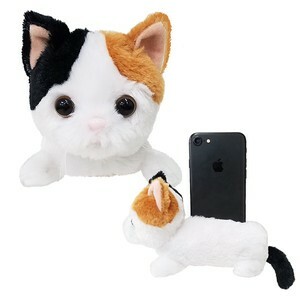 With a big screen cleaning material on the bottom, on their tummy! 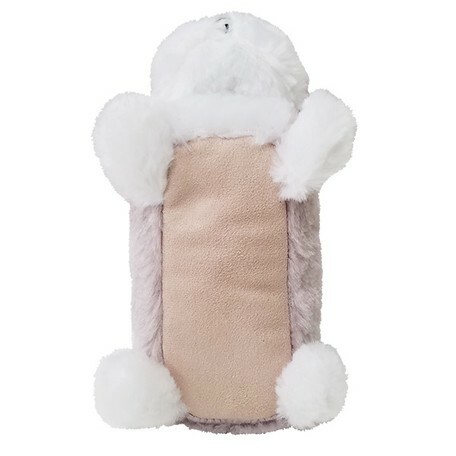 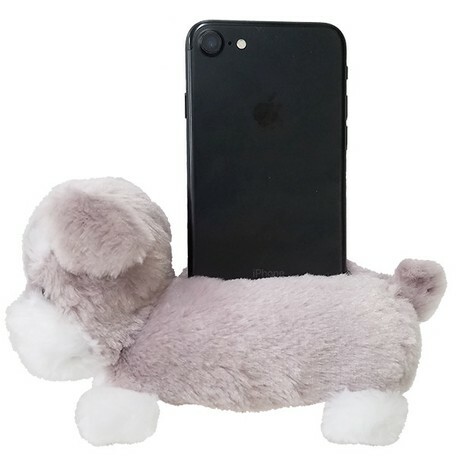 Never misplace your phone again with this fun and adorable Schnauzer puppy with an opening on its back to hold your phone! 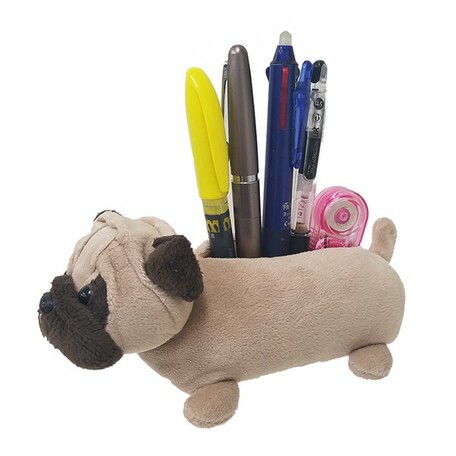 This cute little pup will also look great as a decoration on your desks and tables. 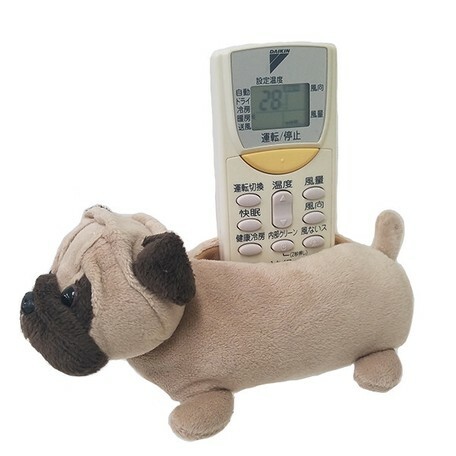 The furry puppy can be also used to hold your TV remote controller in your living room. 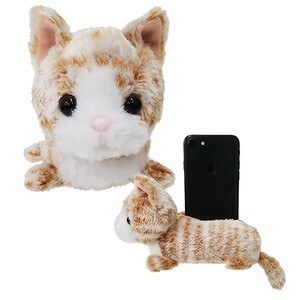 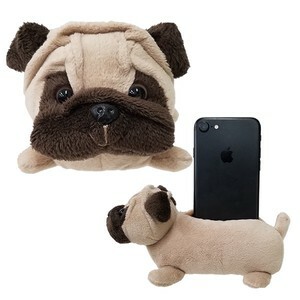 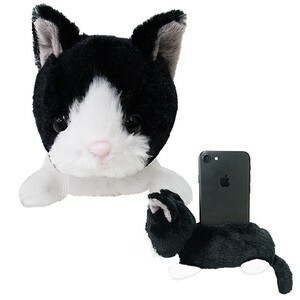 This adorable cell phone stand comes in many breeds and animals. 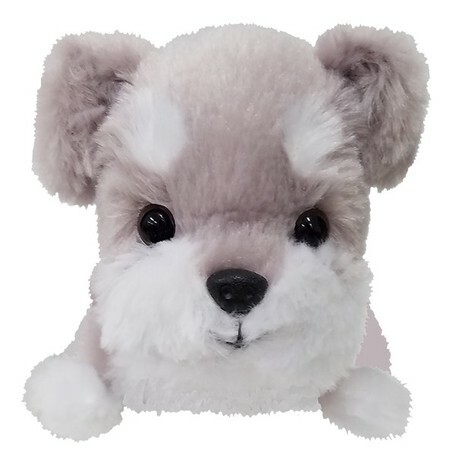 Find your favorite, or collect them all! 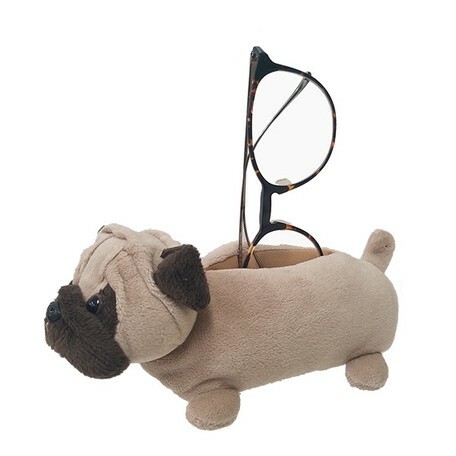 Also great as a gift for your dog-loving friends! 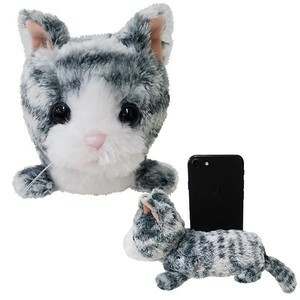 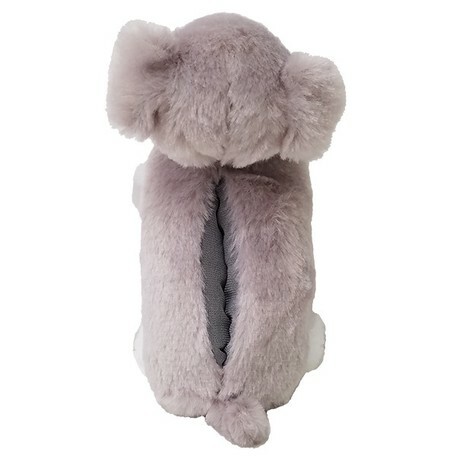 *Please note that this product is made to fit most smart phones and cell phones, but being a sewn product, the sizes may vary slightly.